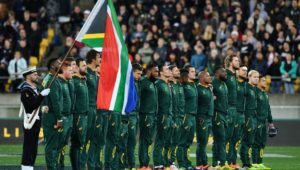 The Springboks need to score two wins against Argentina to have any chance of finishing in the top of half of the 2016 Rugby Championship, writes JON CARDINELLI. Remember the days when Bok wins against Argentina were expected? Remember when every Rugby Championship preview contained talk of four-try bonus points and points differentials and how the Boks could get a jump on their Australasian rivals in the first two weeks of the competition? The Boks suffered their first ever-loss to Argentina at Kings Park last year. They went on to lose all three of their Rugby Championship matches. Two months later, they sustained an inexplicable defeat to Japan on the opening weekend of the 2015 World Cup. The 2016 season hasn’t witnessed much of an improvement as far as South African rugby results are concerned. 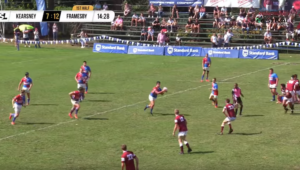 Only one local side progressed to the Super Rugby semi-finals. The Boks lost to Ireland at home for the first time in history. 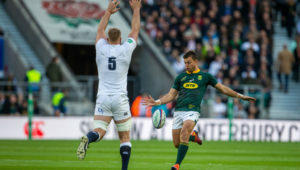 If not for two or three moments of individual brilliance (Damian de Allende’s late try at Ellis Park and Faf de Klerk’s two defensive plays at the death of the clash at Nelson Mandela Bay Stadium), they may have lost that series 3-0 instead of winning it 2-1. Needless to say, the Boks have no reason to feel bullish about their prospects in the 2016 Rugby Championship. Forget the talk of bonus points at this stage. The Boks would do well to emerge from the next two matches against Argentina with two ticks in the win column. One loss in the next fortnight could see the Boks finishing at third or fourth in the final standings. These are nervous times for the Boks. The first matches against Australia and New Zealand are still a month away, and yet there is a real chance the Boks could lose in the next two weeks. On the face of it, South Africa have a great record against Argentina in the Rugby Championship. Five wins, one draw, and one loss. At Soccer City in 2013, the Boks smashed the Pumas 73-13. And yet the vast majority of these meetings have been arm-wrestles. The Boks drew 16-16 with the Pumas in Mendoza in 2012. The winning margin in three of the Boks’ five wins has been seven points or less. The Boks’ record at the Mbombela Stadium, the venue for their Rugby Championship opener against Argentina this Saturday, is equally misleading. While they beat Scotland 30-17 at this ground in 2013 and Wales 31-30 in 2014, their performances in both matches were unconvincing. The Argentinian national side competed in the recent Super Rugby tournament in the guise of the Jaguares. While they failed to qualify for the playoffs, they did win four out of their nine games against South African opposition. The memory of the historic 37-25 victory at Kings Park last year – a scoreline that flattered the Boks – will also fuel the belief that another big win is within their grasp. Beyond the next game in Nelspruit, the Boks face a testing three-game tour to Argentina and Australasia. The Boks have lost 10 of their last 12 games in Australia. They have lost 18 out of 21 games in New Zealand since the dawn of the professional era in 1996. The All Blacks must be favourites to win the 2016 Rugby Championship. The Kiwis are a safe bet to win the majority of their matches and reclaim the title that they held in 2012, 2013 and 2014. 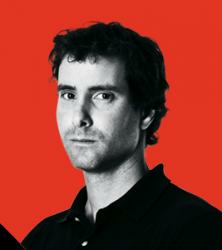 New Zealand dominated the 2015 World Cup tournament with their balanced and brutally effective approach. In 2016, four New Zealand sides qualified for the Super Rugby playoffs despite a tournament format weighted in favour of South African and Australian teams. The Hurricanes were worthy winners in the final against the Lions. Nobody will be surprised if New Zealand lift the Rugby Championship trophy in early October. The Boks would do well to finish in second place. 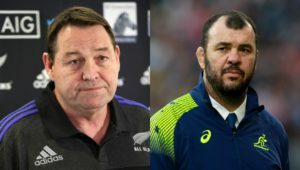 They need to win their next two matches against Argentina, as well as the home Test against the Wallabies to have any chance of realising this modest ambition.